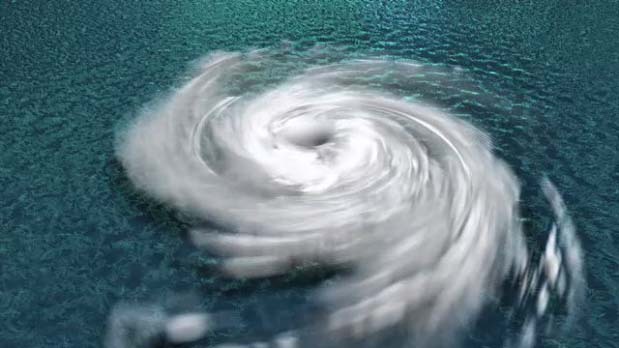 The most recent show in the series "Storm Stories" gives us the facts behind hurricane science. Produced for the Weather Channel, by NBC, this is an in depth look at forensic weather. Accented with fantastic 3D broadcast animation from TMBA, the series gives viewers a close-up look at the most dangerous storms on the planet. Taking only basic facts, TMBA created some of the most challenging 3D elements including thunder clouds, waves, and hurricane cloud formations. Overlaid with descriptive motion graphics, these 3D animations explain and entertain in just a few short seconds. Something only great 3D animation can do. Hurricane science tells us that hurricanes are formed from more simple thunderstorms over the ocean. 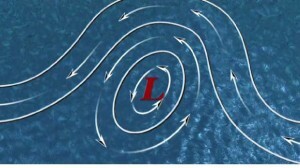 The mechanics of hurricane formation involve a number of "perfect storm" factors involving the ocean, the atmosphere, and temperature. First, the ocean surface must be warmer than 26.5 degrees Celsius (81 degrees F). Heat and moisture from this warm water are ultimately the source of energy Hurricanes need to gear up. High humidity reduces the amount of evaporation in the clouds and helps to maximize the heat that is generated by increased condensation. That concentration of heat is a critical component to driving a potential hurricane into overdrive. If the storm moves over cooler water, or over an area with less humidity, it will lose the energy it needs to survive. Also, the existence of strong wind shear can slant the storm, causing the heat build up from condensation to be spread over a larger surface area which can minimize the intensity of the storm. Wind shear may also play a role in intensifying the storm by moving vertically into it, causing it to gain momentum. Occurring when winds have reached about 80 miles per hour, the "eye" can be anywhere from 20 to 40 miles in diameter. It extends down into the storm like the opening of a cylinder. The area surrounding the eye is known as the "eyewall," a dangerous combination of dense cumulonimbus clouds, thunderstorm clouds and extremely strong winds. Hurricane science has come a long way but, many researchers predict that global warming will have a huge impact on these fierce forces of nature. They believe that hurricane science needs to step up its efforts to predict future trends. To that end, a few lucky researchers recently won front row seats to one of the most incredible shows on earth, Hurricane Earl. NASA is now using a small fleet of unmanned aircraft to fly into over and around hurricanes. Using a Global Hawk observation aircraft, NASA researchers can get a 3D view of the water vapor, liquid water and reigning temperatures that make up a hurricane. Despite Earl's waning as it moved up the east coast of the United States, the Global Hawk was able to fly over the eye of the storm to the surface of the sea and compare different layers in real time and at a relatively high resolution. NASA's HAMSR (High-Altitude Monolithic Microwave Integrated Circuit Sounding Radiometer), is the official term for the unmanned drone that flew some 63,000 feet over Earl with an HD camera, a set up that gives hurricane scientists the ability to view storms in real time as they strengthen or degrade.